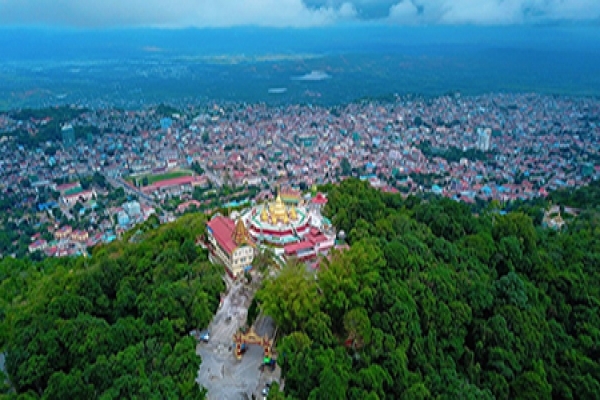 Taunggyi is the capital and largest city of Shan State, Myanmar (Burma) and lies on the Thazi-Kyaingtong road at an elevation of 4,712 feet, just north of Shwenyaung and Inle Lake within the Myelat region. Taunggyi is the fifth largest city of Myanmar, and has an estimated population of 380,665 as of 2014. The city is famous for its hot air balloon festival held annually on the full moon day of Tazaungmon. 08:00AM pick up to your hotel at Naung Shwe. Heho 5 days Market, Bawa than tha yar Bridge, Shan Tribal Museum, local market, Yat Taw Mu Pagoda – which features a large standing Buddha image in the South-western direction.